Parshuram Jayanti is the appearance day of Lord Parshuram, the sixth incarnation of Lord Vishnu. It is observed on Tritiya, the third-day waxing moon in the month of Vaishaka (April-May). The day is also called Akshaya Tritiya. 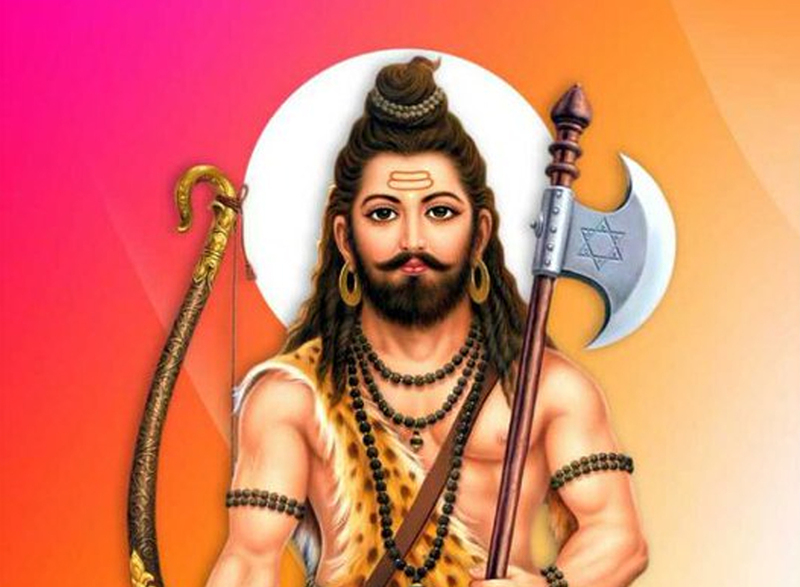 Parshuram Bhagwan was born on this day and he got his name Parshuram because he used a Parshu (an axe) to kill all the Kshatriyas on earth. Parshuram means the bearer of an axe. Lord Parshuram is the sixth avatar of Lord Vishnu. The legend of Parshuram dates back to the Treta Yuga. In Sanskrit, Parashu means axe and Rama is Lord Sri Rama. Literally, the name means Rama-with-the-axe. Parshuram was born to Jamadagni and Renuka. Parshuram is not widely worshipped, although there are several temples near the Indian coast dedicated to Parshuram. As the day is Akshaya Tritiya, people observe special celebrations on this day. People observe this day by taking a bath in holy rivers, staying celebrate and performing puja. On this day one should do daan, jup, tup, hom and read holy scriptures. It is said if you daan with pure faith you gain more fruits and wealth, even if you don’t have much wealth to do daan.